Place rice and cold water in a medium saucepan. Bring to the boil. Reduce heat to low, then cover and simmer for 12-15 minutes until small craters form in surface of the rice. Drain rice and rinse well. Place beans in a bowl and cover with boiling water. Stand for 1 minute or until bright green and just tender. Drain, refresh under cold water, then drain again. 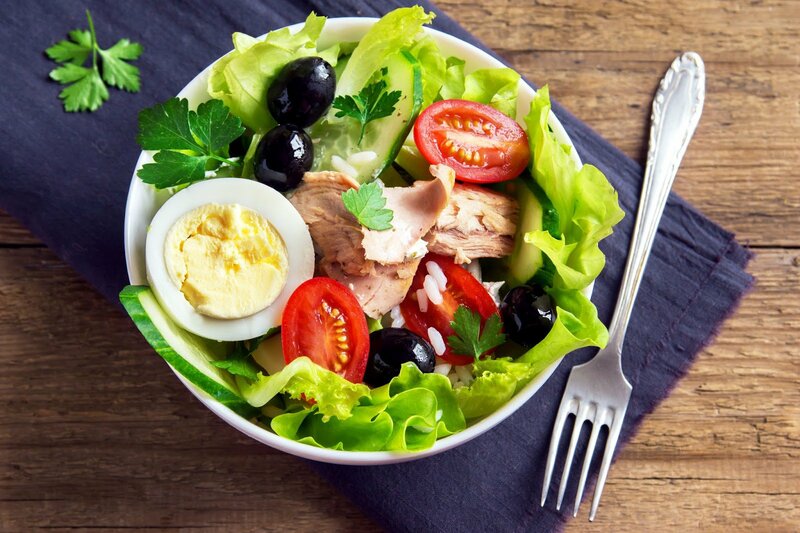 Place beans, lettuce, tomato, olives, anchovy, tuna (undrained), mustard and vinegar in a large bowl. Add rice and season with salt and pepper. Toss gently to combine. Top with a hard-boiled egg and serve.